Whenever I use a fun technique I like to share it with all of you. So I decided to start "Technique Corner" which will be THE place to find easy, fun and quick techniques. This way, each time you'll see the title "Technique Corner" you'll know there is fun to be learned and new things to try. I did this layout for My Punch's kit of the month club. This is a layout with a photo of my son when he was 1 month old. I wanted to give this layout an atmosphere of a magical peaceful night. I added the moon with the hat and instead of just adding stars; I hanged them on a string. As if they were hanging from the sky, twinkling and shining. 1. Cut or punch stars. 2. Arrange the stars on the paper. 3. 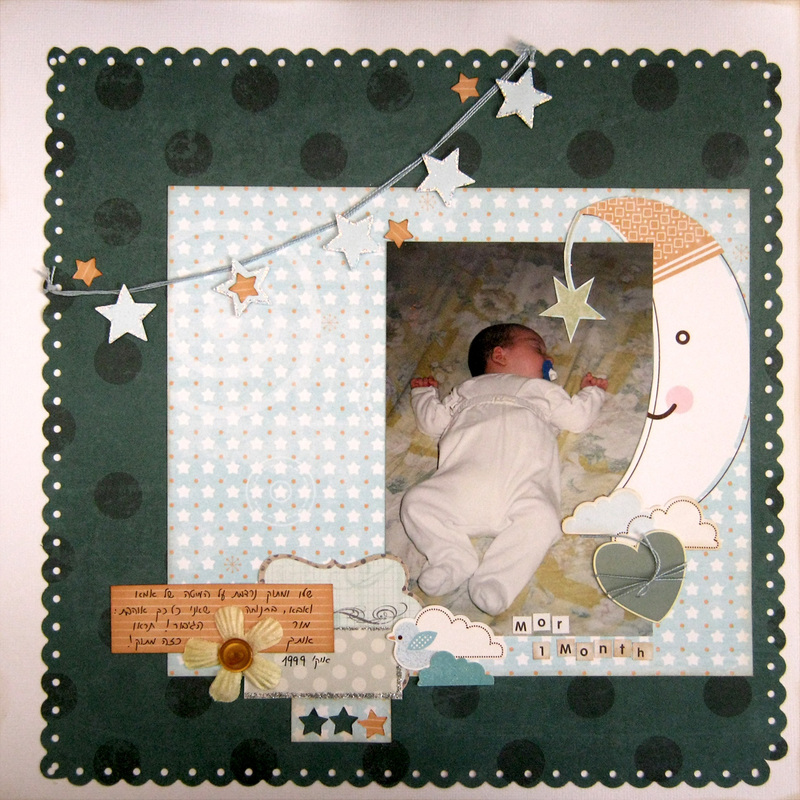 Take a piece of string, yarn or twine and put it on the paper in a curve following the pattern of stars you created. 4. 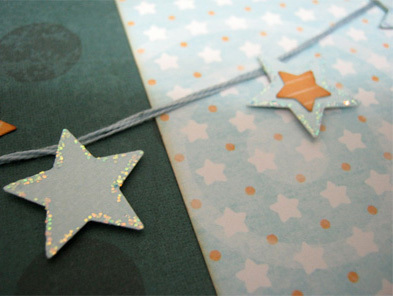 Adhere each star to the paper with 3D adhesive while securing the string in between them. 5. Secure the edges of the string by tying or stapling. I hope you'll try this cute technique on one of your projects. התעלית על עצמך! שוב!! זה פשוט מקסים! !